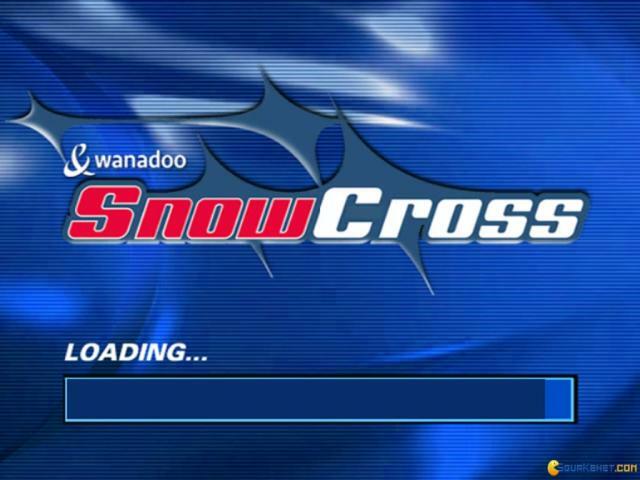 A far cry from the likes of racing games such as the Need For Speed titles, Snowcross is an interesting but not entirely successful attempt at doing something a little different. It certainly deserves some points for offering a very different racing experience than usual, but ultimately proves to be just too middle of the road for its own good. 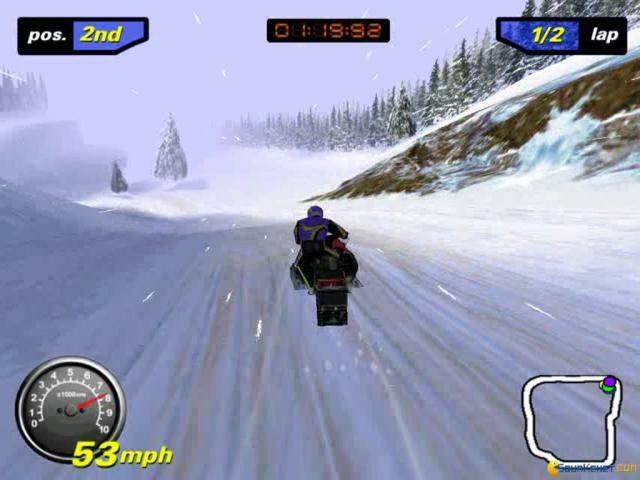 As the name suggests, this is a snowmobile racing simulator, and offers players three main modes to play through, including single event, instant action and tournament. 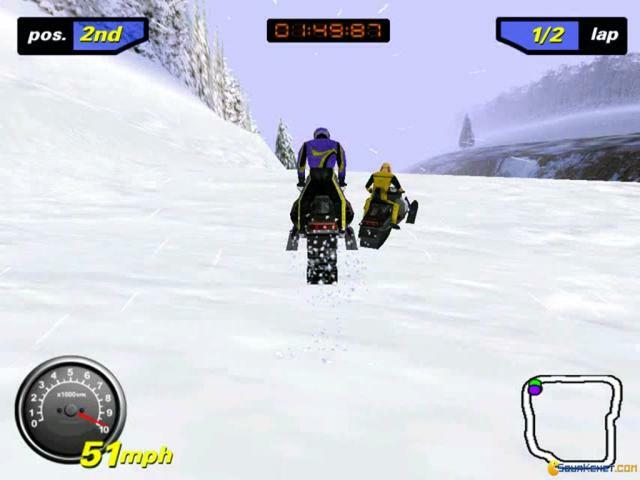 Single event simply gives you five sleds to choose from, then sets you out on a one off event, while instant action lets you choose the track and the sled, as well as time of day and weather conditions, and gives you one single race to enjoy. Tournament offers the most meat, as here you must play through seven events, each consisting of three individual races, with successful completion of one opening up the next. The courses are liberally sprinkled with jumps so you can perform tricks, while the other races will do their best to ram you off the track or just generally get in your way. There's nothing overly wrong with SnowCross, it's just that it's fairly unforgettable. The courses are fairly well designed, but lack that exhilaration factor that any proper racer needs, and the game suffers from a general lack of personality. The visuals are fine, but there are some collision problems, which gets annoying, while the sound is suitably snowy but again, a touch on the bland side. Try this by all means, just don't expect a classic racer. 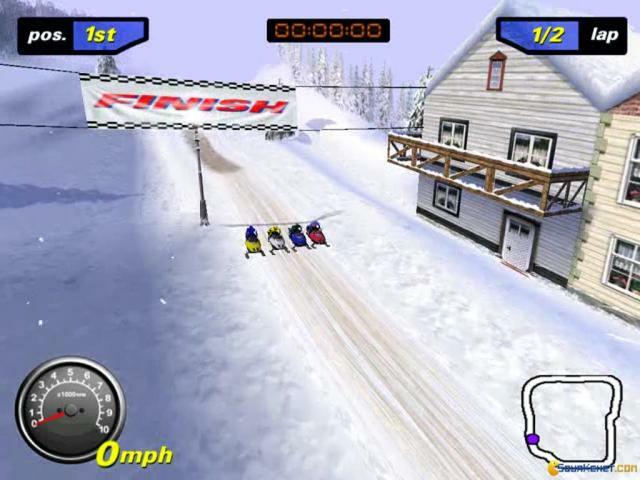 SnowCross is a snowmobile racing game released in 2000 by the french publisher Wanadoo Edition. You can select between single mode (for trainings) and tournament mode (racing competitions). 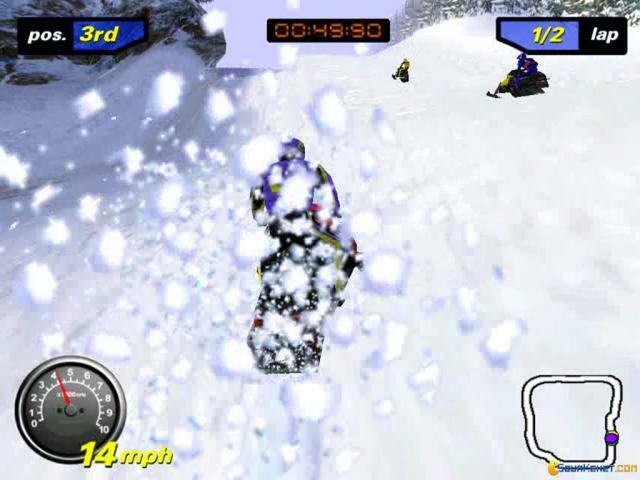 Also, you can choose the weather conditions (snow, clear), the number of laps, and the daytime. 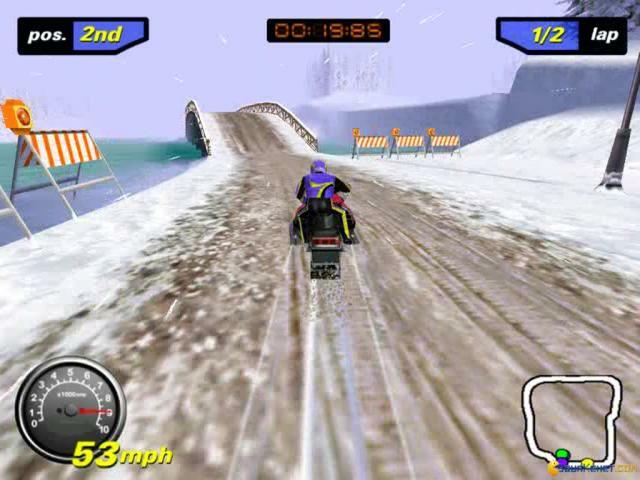 Unfortunately, the multiplayer mode doesn't exist, but at least you can enjoy the entertaining races in the winter. For a game produced in the year 2000, the graphics don't look so bad, so this is a plus. The gameplay lets you cheat, by not respecting the indicators on the roads, so you can drive without problems in your way to discovering shortcuts. You have to pay attention to the road bends, chuckholes and other elements that can cause the difficulty to control your vehicle, because the player will fall and restart the run from certain points. This can cause you precious time, but I have to say that you will get bored after a day for sure. Also, the difficulty come from the intelligence of your opponents, because they will try to throw you down during races. The itineraries consist in twists, jumps, and shortcuts discovered and chosen by you. The thing that annoyed me the most was the fact that I was knocked down too quickly; a single hit and bam! 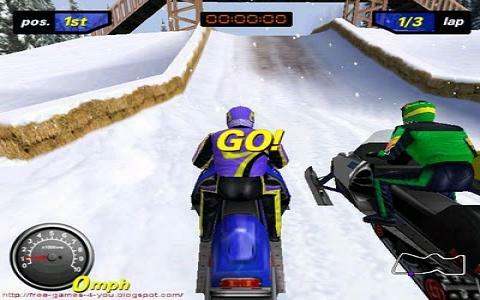 Snowcross is a high adrenaline sport and it represents a good idea for a game, but this one has many limited options.